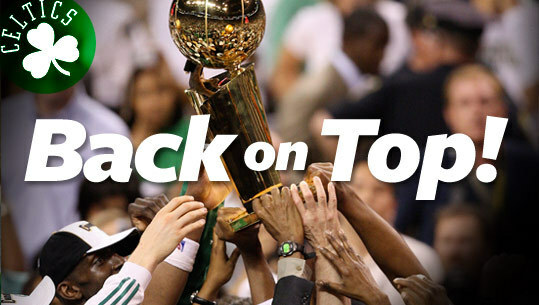 21 long years, some tough times but finally we see the celtics back in the nba finals…….against the old enemy LA Lakers. This season they were the best 2 teams, in NBA history they are the best 2 teams, this is a clash of the Titans. It all starts on June 5th and I am pumped pumped pumped………it is a 2-3-2format so the celtics need to start strong and steal in LA……in 3 weeks I hope to be celebrating another banner in the Garden…..WOO HOO!